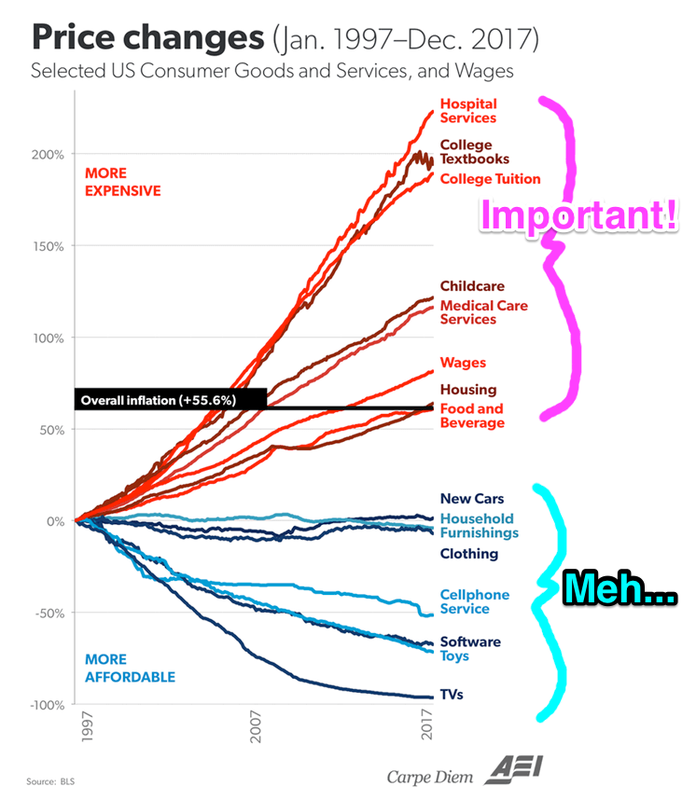 Here is an interesting chart of price changes from 1997 to 2017 for various good and services as measured by the BLS (which tracks CPI and inflation). The Carpe Diem blog author argues that the stuff that got more expensive was heavily regulated by the government, while the stuff that got cheaper was subject to free market forces. I don’t agree completely with that explanation.